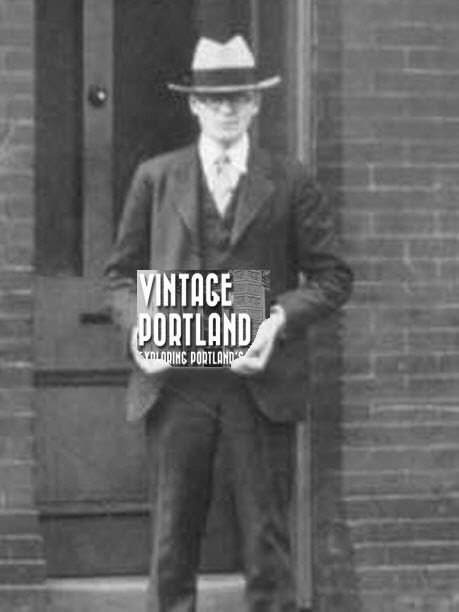 Our Number Man is standing on the west side of NE Union Avenue in this circa 1929 photo. The building currently at 2225 NE MLK is probably the same building; it’s got some detailing updates but the basic structure of the building looks the same. Looks a bit different but you can still see the detail. Little child in doorway could be alive today! I don’t think it’s same building. The windows down the side look different to me, the details at the roof line are different, and the details on the front windows are different. @cderrington, it’s definitely the same building. Portland Maps says it was built in 1892. Also, look at the chimney on the side of the building—it’s identical. I agree it’s the same building — the side windows spacing between the front two and the third with the chimney above and the change in roof level at the chimney are all identical. However…, there are differences such as the distance between the side window and the front of the building, as well as all the brickwork on the front (all the details are different and top floor windows are different). So here’s my guess — once again the guy with the number is documenting property to be taken for a project. In this case, like the Burnside one last week, it’s a widening project for Union. This probably required the front of the building to be moved back, as was done all along Burnside. They chopped off a few feet and rebuilt the front facade which is responsible for all the changes noted and explains the number guy as well. The basic structure resembles that of Portland’s early fire stations. Looking at this closely shows so much. The little girl in the window, our bored friend, Veno juice…but the question remains-“Who killed Mimi Bellamy??? I noticed the little girl looking out the door..
B.Erts, if you’re going to post a link to a review of “The Bellamy Trial” that gives away major plot points, at least give us a spoiler alert. Sheesh, now you’ve ruined the whole movie for me. haha Jim I think the statute of limitations on spoilers is just a little bit passed for a movie that’s 86 years old. Jane, that’s not Veno Island; the sign reads: “Veno is the drink for you” I’d guess it was a Prohibition-era grape juice. As an aside, a friend in Portland Heights found a handwritten delivery list in her basement – names and days of week for bootleg wine deliveries from Italian grape-growers in Marquam Gulch! I agree with everyone. 🙂 I think it is the same building but it looks like they did chop four feet (or so) off of the front. You can see it in the spacing of the upstairs side window closest to the street. I think Brian is right. It is the same building….look at the real estate ad I posted earlier. The ad shows the year when it was built. 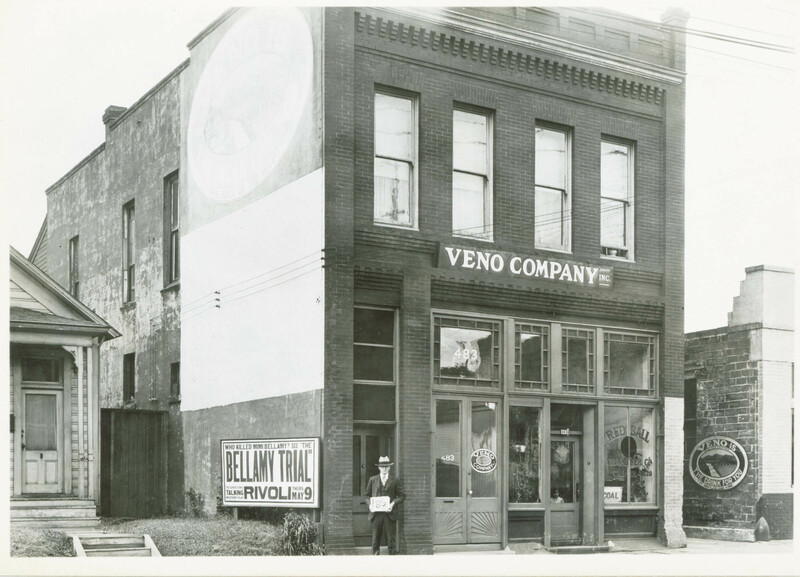 I’m thinking Veno was probably a prohibition era drink made by one of the local breweries that stayed open. Just a guess. Scratch that earlier post. I see that it was made right there. Rivoli Theater was where O Bryant Square now is. What Ian said. The Red Ball signage on the side confirms it, I’d say. Also, on the same side as the Red Ball ghost sign, it looks like there may be a ghosted Veno sign near the top of the building, too. The Red Ball Transfer Co. was owned by Edward Smith, my great uncle. Sadly, the Red Ball Transfer ad on the side of the building is now covered up, as Ox recently expanded to fill the outside space along the north side of the building. This is the oldest building on MLK Boulevard.